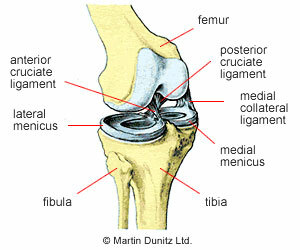 There are two menisci of the knee, one medial and one lateral which help and are designed to act as shock absorption to the knee as well as to add increased gliding or sliding potential between the tibia and femur. They are slightly more mobile anteriorly (forward) than posteriorly (backward). Somewhat triangular shaped and their proximity and location results in the menisci being poorly vascularized (supplied by blood). 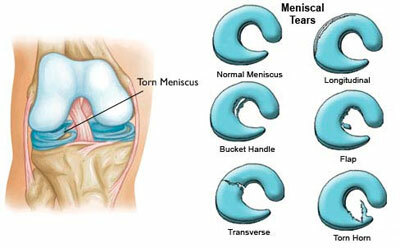 As a result Meniscus Injuries tend to heal very slowly.